This book is a love story between sisters. It’s a love story about a boy who can’t love. It’s a story about a teenage girl trying to decide what decisions are best, while carrying guilt and confusion and stumbling through her reality, unsure and uneasy. …But mostly it’s creepy AF. Silla Daniels, and her mute sister Nori, arrive at their aunt’s decrepit mansion, La Baume, after having escaped their abusive father. They are looking for peace, for a place to call home, and they have pessimistic hopes that La Baume will be that for them. …But, you know, it’s not. Because something is off. Their aunt is odd. The house makes noises that fill Silla with dread. And the woods surrounding the property seem to be moving closer to the house; woods where something dangerous lurks. Something that won’t let them leave. Could it be the Creeper Man? As the food supply runs dangerously low, Silla starts to lose her mind. Because at La Baume, nothing is what it seems. I listened to this book on audio, and I have to say it’s probably the most interesting, engaging, well-done audiobook I’ve ever listened to. I almost felt like I was back in the days where there was no TV. Where families gathered around the radio to listen to shows. The narration was beautiful and bold, the production value filled my ears with so much tangible setting that I felt like I was there, an unseen observer. 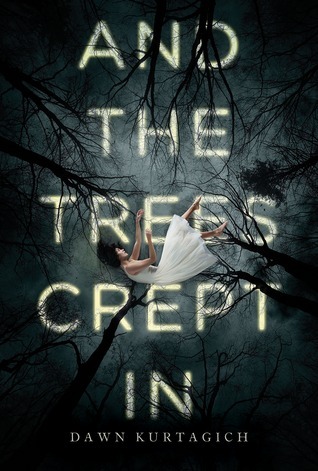 Fave Five: Top Friday The 13th Reads! Happy Friday the 13th, lovers!! I love any kind of creepy, superstitious day like this. I’m waiting with bated breath for Hallowe’en. My head is swimming with all the ways I’m going to decorate my front porch. So, what better day to compile a list of the most creepy books you can read to scare the shot out of yourself!? But, before we get into it, I want to share something a little personal. On July 13th, 2012 – so exactly six years ago today – I walked into a Tim Hortons near my home and met the man I had been talking to online for three months. He had driven five hours from New York state and crossed my Canadian border (no pun intended) so that we could finally meet in person. We had been talking every day. It started through twitter, then email, then phone calls. We were pretty sure we were in love, but you never really can be 100% sure until you meet someone in person. We’ll celebrate our five-year wedding anniversary on October 13th. Yes, the 13th. Tonight, we’re going to celebrate the day that changed our lives with pizza and weed and watching Friday The 13th, the classic 80s movie. But I think everyone should be celebrating this weird and superstitious day. One way to do it would be turning out the lights and curling up with a scary AF classic horror novel, because this day deserves a little old school creepy. Here’s my list of the top five classic horror books to read on Friday the 13th!